Howlin' Wolf Records: SIX STRINGS: Varese Sarabande... New Releases TODAY! It’s here! Star Trek fans and Michael Giacchino fans alike have been clamoring for this one! 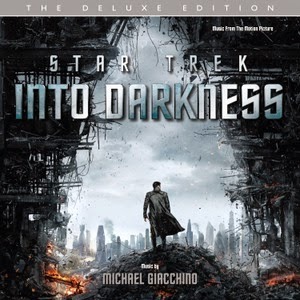 Varèse Sarabande is proud to present our Deluxe Edition 2-CD set of Giacchino’s epic score for Star Trek Into Darkness, now featuring two hours of Michael’s soaring score! Last summer, before heading to a galaxy far, far away, pioneering director J.J. Abrams delivered an explosive action thriller that took Star Trek Into Darkness. In the wake of a shocking act of terror from within their own organization, the crew of The Enterprise is called back home to Earth. In defiance of regulations and with a personal score to settle, Captain Kirk leads his crew on a manhunt to capture an unstoppable force of destruction and bring those responsible to justice. As our heroes are propelled into an epic chess game of life and death, love will be challenged, friendships will be torn apart, and sacrifices must be made for the only family Kirk has left: his crew. A mother and father and their three teenage children move to a new home that was the scene of a “personal tragedy.” The son meets a mysterious neighbor girl and together they experiment with an old radio they find in the attic, which can be used to communicate with the dead. Something is unleashed that brings new horror. Hannah Lee (Abigail Breslin) is a bright teen girl trapped in the dark Southern underworld of violence and guns, drugs and vicious biker gangs. Neglected by her angry sister Amber (Alexa Vega), her only refuge is her troubled uncle Donny (Lew Temple) who is a drug addict. Both live in fear of "Uncle Frank" Stinson (Sean Bean) who runs the illegal family business with an iron fist, aided by his psychotic younger brother Bobby (Jake Busey). But when Amber falls in love with family rival Wild Bill (James Purefoy), Hannah realizes there is no escape from the ruthless Stinsons and cleverly schemes to pit one pawn against another in a cunning game of revenge. 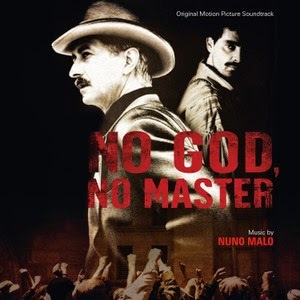 When a series of package bombs show up on the doorsteps of prominent politicians and businessmen in the summer of 1919, U.S. Bureau of Investigation Agent William Flynn (David Strathairn) is assigned the task of finding those responsible. He becomes immersed in an investigation that uncovers an anarchist plot to destroy democracy. Inspired by true events of the ’20s, the film sets the stage for a timely thriller with resoundingly similar parallels to the contemporary war on terrorism and the role government plays to defeat it.